Before the old Metcard ticketing system was to be phased out in late 2012, Public Transport Victoria commissioned a series of online videos to clearly explain the Myki ticketing system and how to use it to the audience (infrequent travellers, skewed to 50+), that hadn’t yet made the transition to the new ticketing system in the first ten months of rollout. Though the brief was for the creative and production of the video series only, as part of the submission Commotion presented a holistic cost-effective campaign idea, ‘Master Your Myki’, an educational, positive take on the change. The concept also involved using representatives from each of Victoria’s metropolitan transport stakeholder peak bodies, (train, tram and bus), to assist with and encourage industry involvement and support in the mandatory move to Myki. 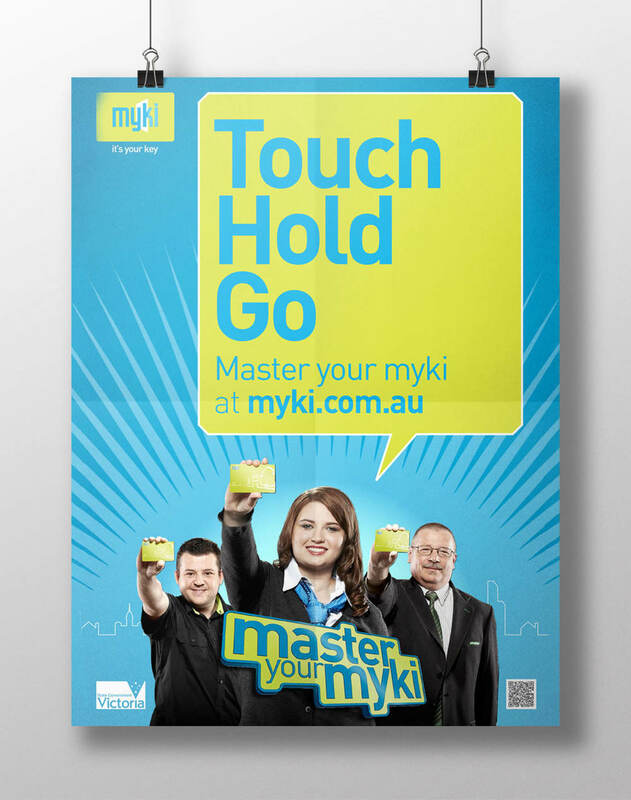 The resulting campaign comprised the ‘Master Your Myki’ concept, scripting and production of five 60-120 sec video clips, brochure and point of sale material for Myki sellers, metrolite posters, online advertising, and the design for the accompanying microsite, all linked by the hero visual and the campaign brandmark.